Regular fit. 115gsm Polyester ripstop wind resistance fabric with lycra gusset for comfort. 2 front pockets. 35mm bonded waistband. 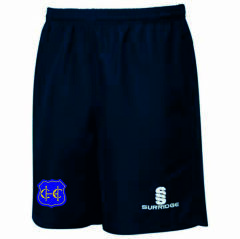 Embroidered Surridge logo on left leg.